Young & Rubicam is shifting from a regional to global approach to shopper marketing with the appointment of Jon Bird as global managing director of Labstore, the agency's retail marketing arm. To date, Labstore's footprint has been limited to parts of Europe, South America, Central America and Asia. With the appointment of a global chief, WPP Group's Y&R aims to build the unit into a bigger player that can compete with the likes of Saatchi & Saatchi X, Catapult and Geometry, the rollup of G2, OgilvyAction and JWTAction. One of Bird's challenges, for example, is to fortify the agency's retail marketing offering in the U.S. To that end, Labstore will partner with W3—a Chicago-based unit of sister shop Wunderman—on regional assignments. Also, IdeaWorks, the retail specialist in Australia and New Zealand that Bird previously ran, will become part of Labstore, though it will continue to operate as IdeaWorks in those markets. All told, Labstore employs some 200 staffers in 20 offices. Top accounts include Telefónica in Spain, Colgate-Palmolive in Thailand and the Philippines and GE Moneybank in Hungary. 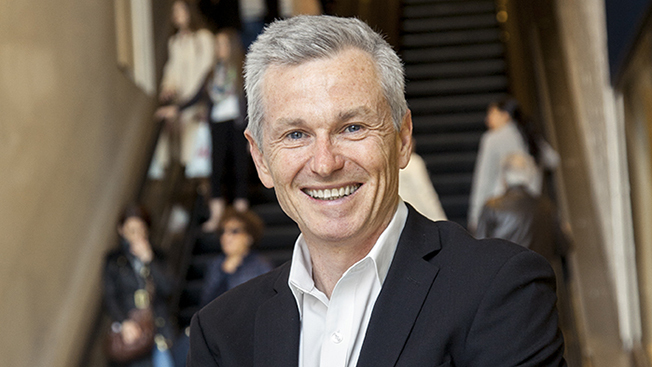 When asked about his goals for 2014, Bird said he'd focus on uniting a coalition of retail marketing practitioners into a single group and establishing a set of common values. Knowledge sharing among offices is another priority. He'll start tackling those goals at a meeting of more than 20 Labstore leaders in Miami next week. "We've got different people who've run very good individual offices but [have] not really come together as a global force. And we think there's real power in doing that," said Bird, who'll be based in New York. "Certainly, Spain and Latin America have worked very closely together … But there hasn't been a global conversation and that's my very first priority." Y&R global CEO David Sable described Bird as a "bona fide thought leader," adding that "with Labstore, we have a distinct point of view that speaks to the challenges and demands of the marketplace—both from the retail and consumer perspective and a way of working that is fully integrated with Y&R advertising and VML," the agency's digital arm. The global md position is new. As such, Bird becomes the first worldwide head of Labstore.